Download - Android x86 Nougat 7.1 R2 64-BIT ISO image [Working WIFI Connection] for PC. Recently Android x86 ORG release developing Nougat R2 based Operating System for users. And this time all bugs fixed and it will more stable for your PC with working games and Play Store. 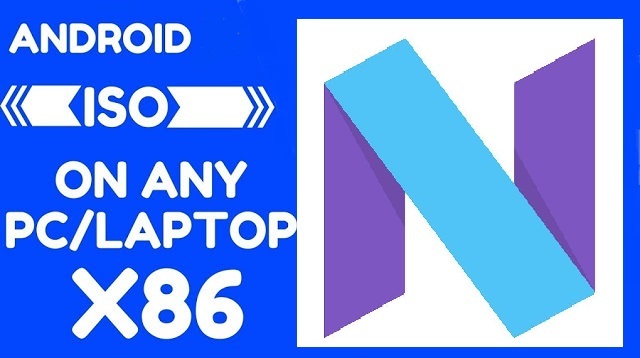 You can download Android x86 Nougat x64 bit 7.1 ISO image stable version for your PC/Desktop/Windows Laptop and find what's new in Android Nougat. Share this ISO with your friend and family. Please share more information about bugs and feature with us and our other visitors. Also check out List of Best Android OS For PC with Windows Dual Boot.